NetSuite's cloud financial management solution is used by thousands of organisations to manage their accounting needs. This ERP accounting software accelerates your financial close, provides strong expense management, offers streamlined and auditable revenue management and ensures real-time visibility into the financial performance of your entire company. NetSuite financial management software seamlessly links all NetSuite order management, inventory, ecommerce and CRM functions to streamline core business processes, such as quote-to-cash, allowing everyone to work from a single source of sales, finance and customer information. Grow business performance with real-time metrics and personalised role-based dashboard. 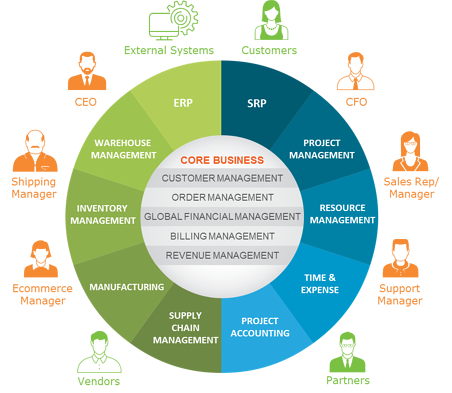 Reduce errors with seamless integration between financials/ERP, CRM and ecommerce. When is the Right Time to Switch from Rudimentary Accounting Software to Full-Fledged Cloud ERP?